Jerold Zwelling, 95, of Zanesville, died at 2:30 A.M. on Friday, January 25, 2019, at his home. He was born July 26, 1923, in Zanesville, a son of the late Morris and Deborah Berman Zwelling. He was a graduate of The Ohio State University where he received his Law Degree. He served in the United States Army Air Corps serving during World War Two. He was a member of Beth Abraham Synagogue, B'Nai B'rith Men's Organization, The Ohio State Alumni Association, Kiwanis, Rotary, Elks, Zanesville Community Theater and the Greater Zanesville Singers. Jerry was very involved in the Foreign Exchange Student Program with Rotary and Jaycees. He volunteered at Good Samaritan Medical Center and Bethesda Hospital He is survived by a daughter, Dr. Marcy (Lance) Aamot; a son, Stuart Zwelling; and nieces, Robin and Linda; nephews, Brad and Ross; and many cousins including Mike Silverstein, Rob Zwelling and Rick Zwelling. In addition to his parents, he was preceded in death by his wife, Ruth E. Krauthamer Zwelling, who died October 12, 2009; two brothers, Howard Zwelling and Ivan Zwelling; a sister-in-law, Rochelle Zwelling. Friends and family may call from 1:00 P.M. until time of service at 2:00. P.M. on Monday, January 28, 2019 at the BOLIN-DIERKES FUNERAL HOME, 1271 BLUE AVENUE, ZANESVILLE with Rabbi Jeffrey Elson officiating. 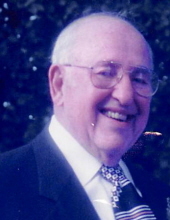 He will be laid to rest at Beth Abraham Jewish Cemetery, Zanesville. Memorial contributions may be made to the Beth Abraham Synagogue Cemetery Fund c/o Craig Ballas, 2900 Stanway Drive, Zanesville. To send a note of condolence, visit www.bolin-dierkesfuneralhome.com , follow us on Facebook, or call our professional staff at (740)452-4551.